QUEZON CITY—“St. Nicholas reminds us of the importance of prayer,” said Most Rev. 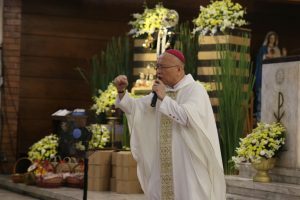 Honesto F. Ongtioco, DD, the Local Ordinary of the Diocese of Cubao, during his Homily on the 43rd Parochial Fiesta of San Nicolas de Tolentino Parish in Congressional Subdivision, Brgy. Bahay Toro last Monday, September 10, 2018. 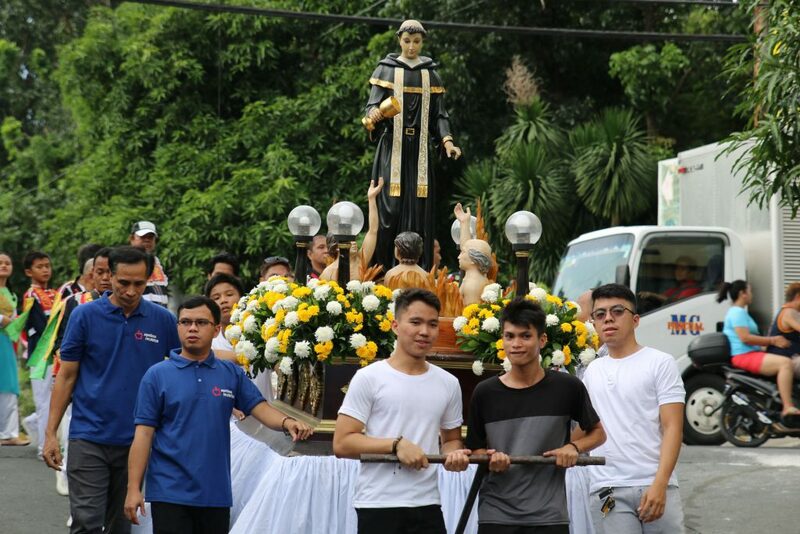 St. Nicholas of Tolentino is notable especially with his heart for the salvation of the poor souls and his religious virtues of prayer, penance and austerity. 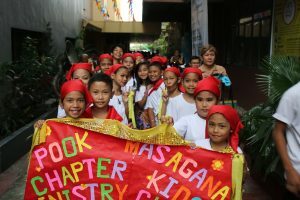 The Recollect province of the Philippines celebrated the solemnity of St. Nicholas with piety and reverence; historically conscious of their foremost patron as they were before part of San Nicholas de Tolentino province. 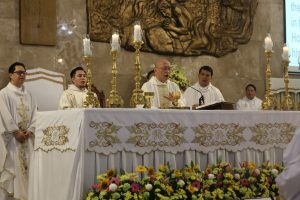 The celebration was not only an encounter with a model of holiness but also of history and relationships of Recollect provinces. In May 11, 1975 the said parish was dedicated and named after the St. Nicholas in honor of the patron of the Recollect province in the Philippines which was one of the first four Provinces of the Order. The new parish priest, Fray Jonathan Caballero, OAR, delivered his words of gratitude to all who supported the activities of the Parish, and the sponsors of Septenary Masses in honor of St. Nicholas. 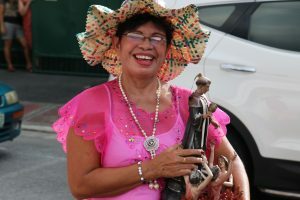 The Prior Provincial, Fray Dionisio Q. Selma, OAR, gave a small image of San Nicolas as token of appreciation to the Hermano and Hermana Mayores. The Panecillos were distributed to the faithful following the Holy Mass. Accrording to the biography of St. Nicholas, he fell very ill and was only getting worse. When all hope seemed lost, he had a vision of the Blessed Virgin Mary instructing him to eat a small piece of bread dipped in water. He followed her instruction and miraculously he recuperated. From that time, he started healing the sick by praying to the Blessed Mother and feeding bread to those in need. 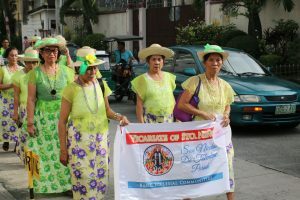 Various organizations and parishioners wearing their colorful costumes danced energetically the Karakol at four in the afternoon that made event more festive and vibrant. 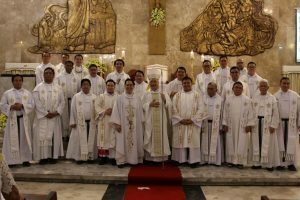 Present during the celebration were twenty religious priests, OAR formands, SARF, RAY, CARAS, other religious congregations, and parishioners. The celebration was culminated with a sumptuous dinner for all. 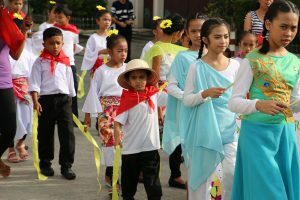 Viva San Nicolas de Tolentino!